> http://terrainformatica.com/w3/linear-align-2.png are simply impossible to define with your schema (sorry for “cauchemar” colors there). Right. As I said before, it is designed to be simple. That is more important than being able to create any possible gradient that can be created by SVG. There is nowhere near as common a need for the more complex gradients that a more complex syntax allows. 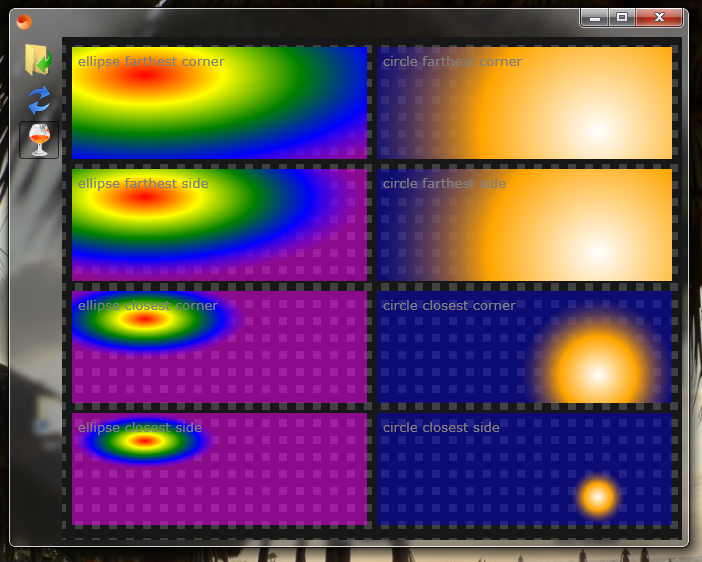 In my opinion, radial gradients are a bit over powered currently, and could be simpler. I expect radial gradients to be much less common than linear gradients, and thus could get by without serving even edgier edge cases. But in any case, Tab designed it in the way that he thought was the right mixture of simplicity and power for the most needed radial gradients. > I’ve implemented your schema already and discovered that it is quite limiting. > It is useful in quite narrow range of angles. > need angles there at all. Keyword gradients such as "top left" go from corner to corner. 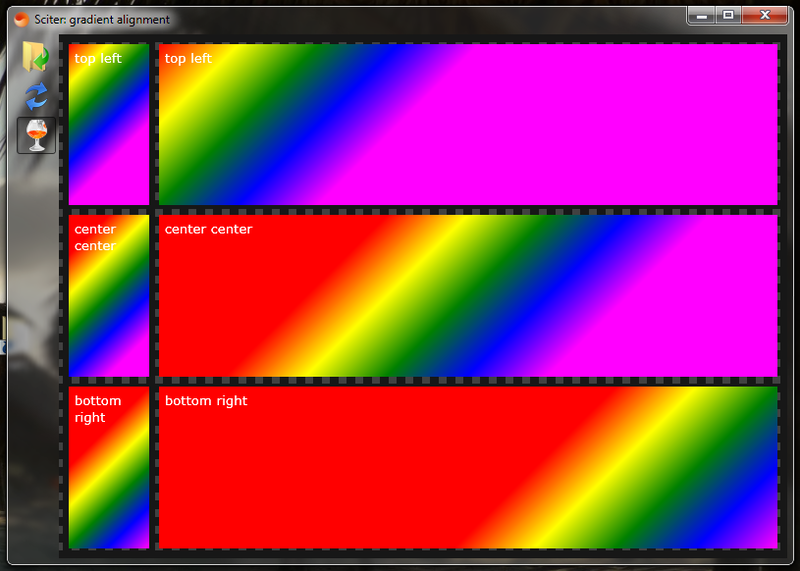 Angle gradients stay at a consistent angle no matter what the box size. Specifying the direction via angle is also the most common and familiar way to specify an angle textually in existing software (as I said before). And vanishingly few gradients in the wild need to be so precise as to require two length measurements instead of one for the first or last color stops. Next message: Arno Gourdol: "Re: [CSS Regions] Update available"
Previous message: Bert Bos: "Re: [CSS21] Final issues with the inline formatting model"
In reply to: Andrew Fedoniouk: "Re: [CSS3] linear-gradient() proposal"
Next in thread: Andrew Fedoniouk: "Re: [CSS3] linear-gradient() proposal"
Reply: Andrew Fedoniouk: "Re: [CSS3] linear-gradient() proposal"